Capt Shawn Kelly's Sanibel & Captiva Fishing Report May/June 2018! Sorry it’s taken me a little longer to get this months Fishing Report out there! 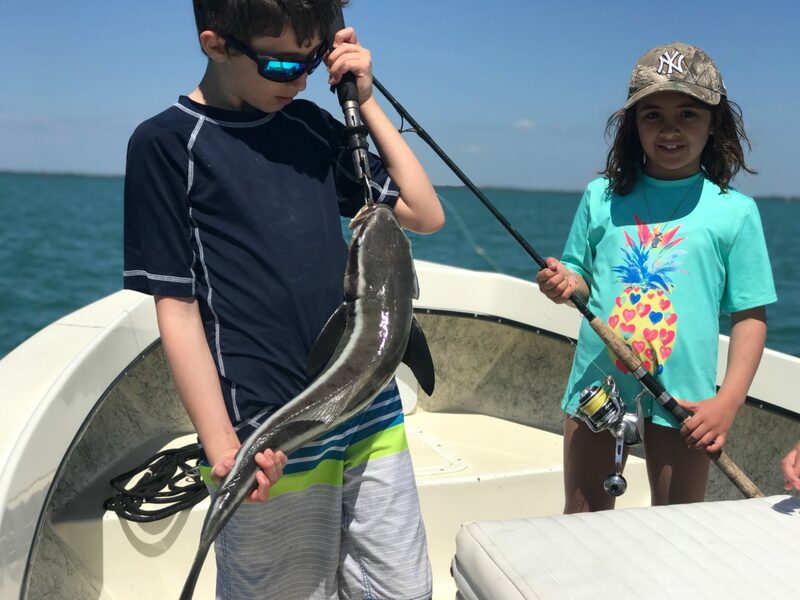 As many of you know, May/June isn’t technically “high season” on Sanibel & Captiva, but it is definitely one of the busier times of the year for fishing Southwest Florida. I’ve been flat out stacked with charters for months now – Fishing up to 3 charters a day sometimes! Rightly so, the fishing is crazy. And, by crazy, I mean sometimes it’s been crazy good, and sometimes crazy bad! That is, when the weather hasn’t screwed it all up! May had more then its fair share of foul weather. It was unseasonably windy and it brought more rain than usual. June has been fairly wet and windy, however it’s still been a vast improvement over last month. The big temperature swings can really effect the way fish act and eat. But, it wouldn’t be summer in Southwest Florida without thunderstorms. But the fishing goes on between, and sometimes even under the raindrops. The good news is there are still plenty of fish around when the weather cooperates! 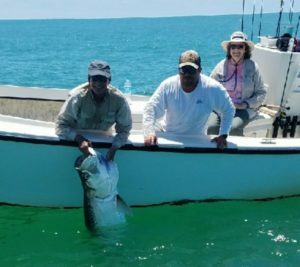 Tarpon have been plentiful but finding them can be a bit more of a challenge as the season wears on. Some days they are on the beach, sometimes they are in the passes are other times they are in their usual inshore haunts. 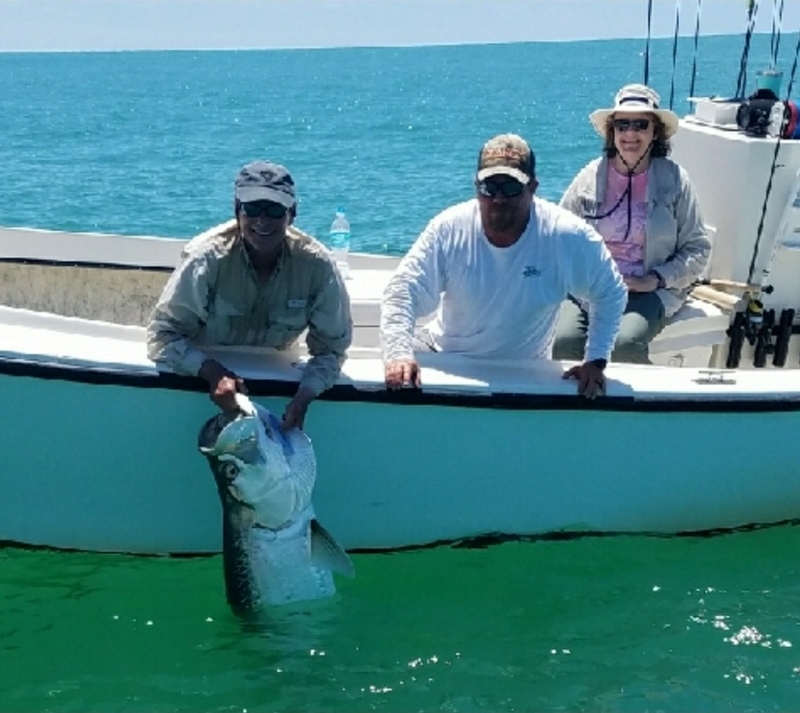 Getting them to eat can be a challenge….but when it all comes together, few fish provide the adrenaline rush of the amazing Silver King! That said, they won’t be here forever, so if you still haven’t tried this, the time is now. All this warm weather is turning on more then the Tarpon. 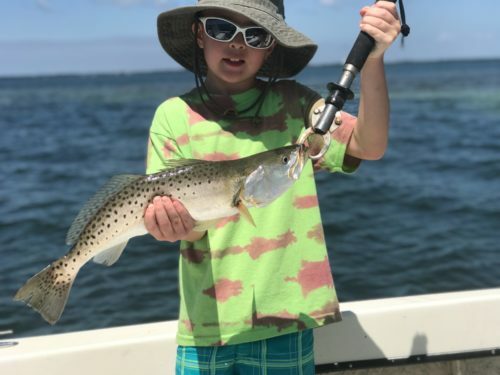 The Speckled Sea Trout have been thick on the flats. They’ll eat jigs, shiners and pinfish and they love to chew when temperatures climb. They are tasty and fun to catch. 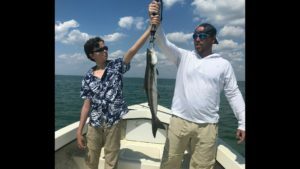 Plus, It’s a great opportunity to take the little guys and girls out to catch fish. 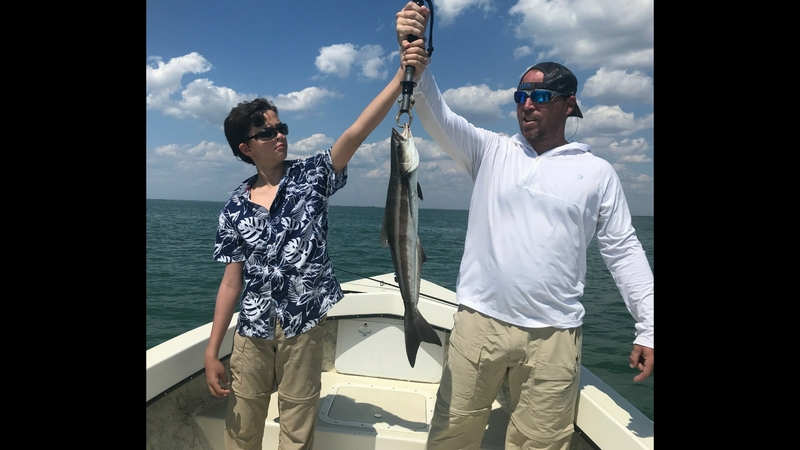 Sea Trout always makes for great summertime family fishing! Snook have been moving into the passes and some of the big girls are starting to be caught on the beaches. Try bouncing a jig off the bottom or even a top water plug for them when the sun is low. Live bait like pinfish or shiners also work well. Spanish Mackerel are thick but you better have good bait! 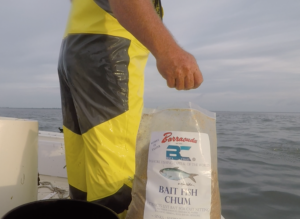 Try getting some Boaca Coast Chum, hitting the grass flats and cast netting some shiners. (find it at www.Bocacoast.com or in many different local bait shops.) Use some of those Macks to catch some of the many species of Sharks that visit our area. Its a simple as taking a big hunk of cut bait and pinning it to the bottom with some steel leader and stout hook. Hold on, because some of these guys can get big! Gag Grouper season opened the first of the month and The Mangrove Snapper and Permit bite should be turning on here soon as well. So come pay us a visit and wet a line! Don’t worry, the fishing is hotter than the weather! Can we eat the speckled trout?